Headquartered in Scottsdale, Arizona, Par Avion LLC is an aftermarket aerospace supplier to the worldwide aviation market. It specializes in supplying surplus rotable, consumable and expendable spares for both Airbus & Boeing. Founded in 2013, Par Avion was established by its President and Founder Monique Taillieu, and became fully operational in October of 2014. After having spent 25 years working as an independent contractor, Taillieu had decided it was time to start a business of her own. 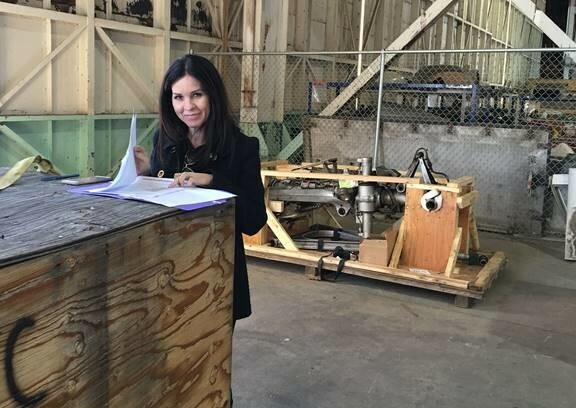 Now, she and her team of seven employees, supply commercial aircraft parts to airlines and maintenance repair shops around the world. As an aftermarket aerospace supplier to the worldwide aviation market, more than half of Par Avion’s total sales are export-related. To support the company’s exports, Taillieu obtained a loan from the Small Business Administration (SBA) which would require insurance to cover her foreign account receivables. She learned about the Export-Import Bank of the United States (EXIM Bank) through her banker at Enterprise Bank and Trust and applied for an EXIM's export credit insurance policy to mitigate the risk of nonpayment from foreign buyers. As the business continues to grow and expand into other markets, sales are projected to increase significantly and Taillieu can confidently start adding other international customers to her insurance policy from EXIM. From 2015 to 2018, EXIM has supported $4.7 million of Par Avion's exports. "EXIM buys you peace of mind. We export to France and Turkey and are able to sustain those markets with EXIM’s support."